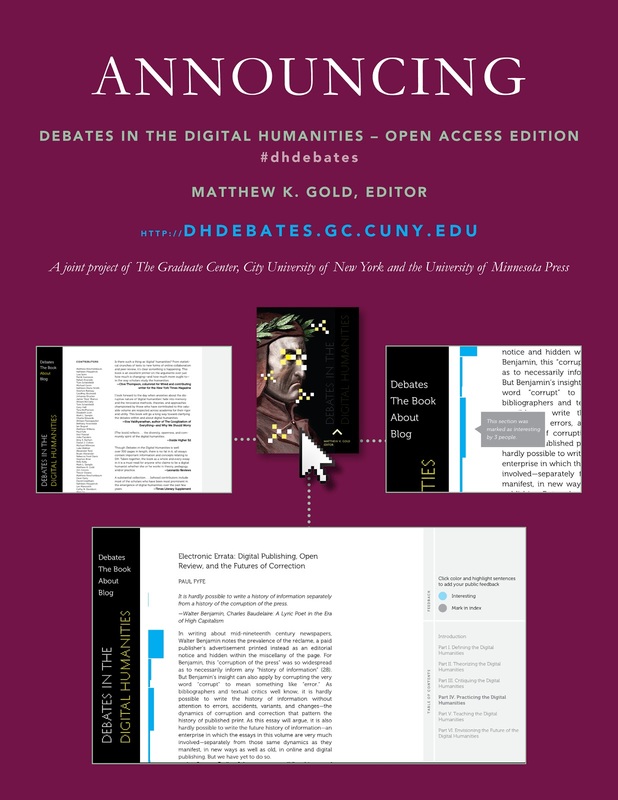 Yesterday at the 2013 MLA convention, author Matthew Gold unveiled the brand-new, online, open-access edition of Debates in the Digital Humanities. This website is a joint initiative of The Graduate Center, City University of New York and the University of Minnesota Press. It features new articles, feedback visualizations, and a whole lot of awesomeness. Want more information? 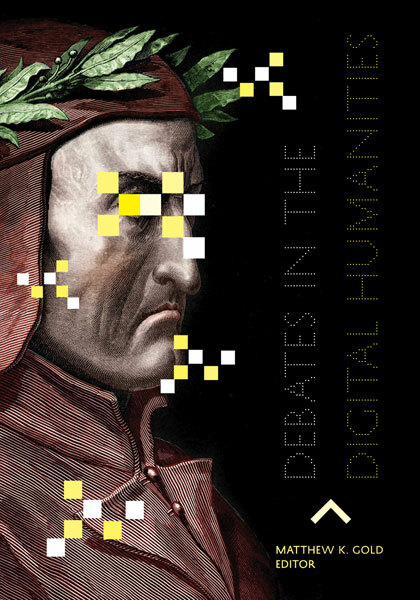 Check out Debates in the Digital Humanities in print.